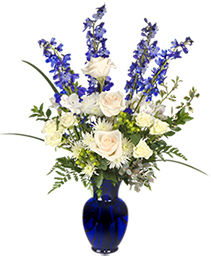 Celebrate the miracle of Hanukkah and the Festival of Lights with a beautiful blue and white bouquet from MILDRED'S FLORIST . 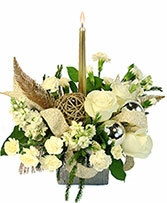 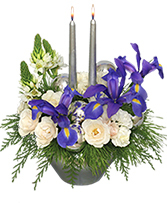 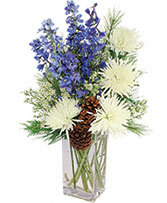 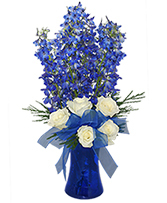 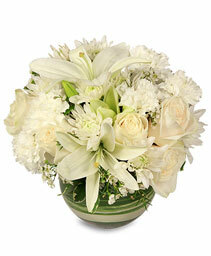 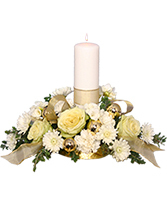 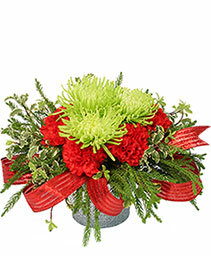 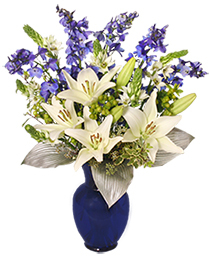 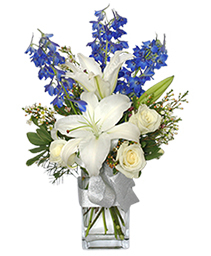 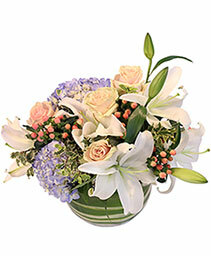 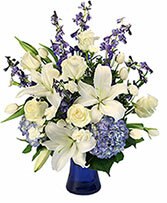 Call our shop or order Lakeland, FL Hanukkah flowers now from our website. 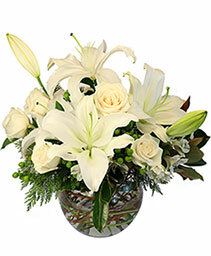 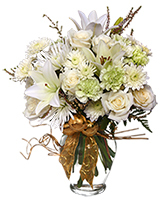 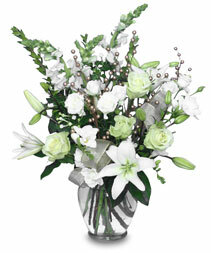 Classic Urn Vase, Foliage: Salal, Seasonal Evergreens, White Snapdragons, Green Jade Roses, White Asiatic Lilies, White Miniature Spray Roses, White Bouvardia, White Freesia, Artificial Gold Berries, Gold Mesh Wired Ribbon Loops.